Our nation has faced some difficult economic times as of late. In North Carolina, these trying times have left over 400,000 unemployed and unsure of how they will be providing for themselves and their families. The unemployment rate for young North Carolinians (ages 20-24) more than doubled between 2007 and 2011—the second highest jump in the nation. North Carolina joined six other states in 2012 to combat this growing trend in a network which emerged as a result of the Pathways to Prosperity Report by the Harvard Graduate School of Education. The Pathways to Prosperity report was released in February of 2011 by the Harvard Graduate School of Education and was entitled: “Pathway to Prosperity: Meeting the Challenge of Preparing Young Americans for the 21st Century”. This report challenged our excessive focus on the four-year college education and argued that additional pathways need to be created to combine rigorous academics with strong technical education to equip the majority of young people with the skills and credentials to succeed in our increasingly challenging labor market. Another aspect however—not addressed in the report or by the network— is the challenge our youngsters face due to their youthful indiscretions reflected on their criminal records. Whether you are hired or promoted for a job may depend on the information revealed in a background check. Job applicants and existing employees as well as volunteers may be asked to submit to background checks. Employers are looking for the best possible candidates for their companies and background checks help sort through the overwhelming number of applicants they have. 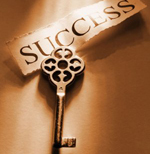 A blemish from days past can have a negative impact on an individual’s employability. An expungement may be the answer for certain, qualifying individuals who wish to clear their criminal record in order to have a better chance at employment. If you or someone you know would like to open up career opportunities by discussing the possibility of expunging your criminal record contact Collins Law Firm at (910) 793-9000 (910) 793-9000 for a confidential legal consultation. Motor vehicle crashes are the leading cause of death among those age 5-34 in the U.S. More than 2.3 million drivers and passengers were treated in emergency departments as the result of being injured in motor vehicle crashes in 2009. 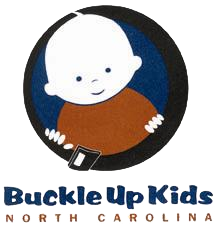 Seat belt use and proper child restraint are the most effective ways to save lives and reduce injuries in crashes, yet millions of adults do not wear their seat belts and fail to properly secure their children on every car ride. Many of these deaths and injuries can be prevented. Placing children in age- and size-appropriate car seats and booster seats reduces serious and fatal injuries by more than half. (1) Two drivers license points shall be assessed pursuant to G.S. § 20-16. (2) No insurance points shall be assessed. (3) The violation shall not constitute negligence per se or contributory negligence per se. • Use rear facing child restraints as long as possible, but at least until age two. Most models can and should be used up to at least 30 pounds. • Once a child is turned to face the front of the car, use a child restraint with a harness until the harness is outgrown, from 40-80 pounds, depending on the model. • Use seatbelts for older children only when they are large enough for both the lap and shoulder belt to fit correctly. • Use a seatbelt on every car trip to set a good example for your children. If you have been charged for failing to restrain a child, for a seatbelt violation or if you have legal concerns about any area of law in which we practice, contact us at (910) 793-9000 (910) 793-9000 for a confidential legal consultation. Many families and individuals today are choosing to rent over owning their own home. 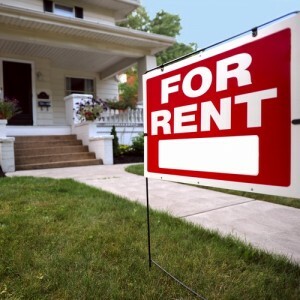 Renting can provide certain benefits over buying that many find attractive, including minimal maintenance, no property taxes or home owners’ insurance, and less commitment. However, when disputes between a landlord and tenant arise, the living situation in a rental home can become unbearable. • Make any repairs needed to keep your place fit and safe. If you feel as if your rights as a landlord or tenant have been violated, or if you have legal concerns about any area of law in which we practice, contact us at (910) 793-9000 (910) 793-9000 for a confidential legal consultation.